Youngest son of the late, great Afrobeat pioneer Fela Kuti, Seun Kuti heads to Brighton with the legendary Egypt 80 band. A true ambassador of the the afrobeat movement, the young Seun took over the reins of his fathers legacy in 1997 as leader of Egypt 80 after Fela's untimely death, having performed with the band from the young age of 9. Ever since, Seun has followed the political and social ethos of his father. Along the way digging deeper into various African traditions to reflect the continent's struggles and cultures. About three-quarters of the current Egypt 80 line-up consists of musicians that not only played with Fela Kuti, but often were arrested and harassed alongside the founder of the Afrobeat movement. 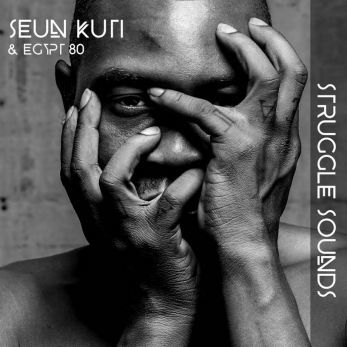 Seun Kuti has toured the world numerous times and previously released three critically acclaimed albums as well as 2016's 'Struggle Sounds' EP. One of the true modern leaders of the Afrobeat genre with a high energy live show taking in his father's back catalogue as well as Seun's own material, this really is one of the unmissable events of 2017.